One recipe that is never missing from our summer BBQs is potato salad. Whenever I visit my parent’s house, I can always count on a big bowl ready to serve with our hotdogs and hamburgers. 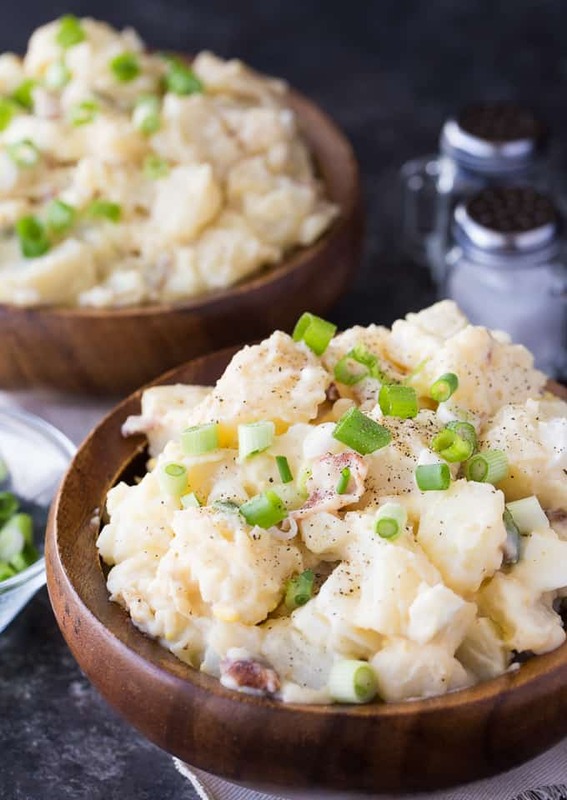 Though there are many varieties of potato salad online with a diverse array of ingredients, this Dutch Potato Salad recipe is one of my favourites. It’s flavourful, creamy and delicious. I got this recipe from one of my mom’s old church cookbooks. 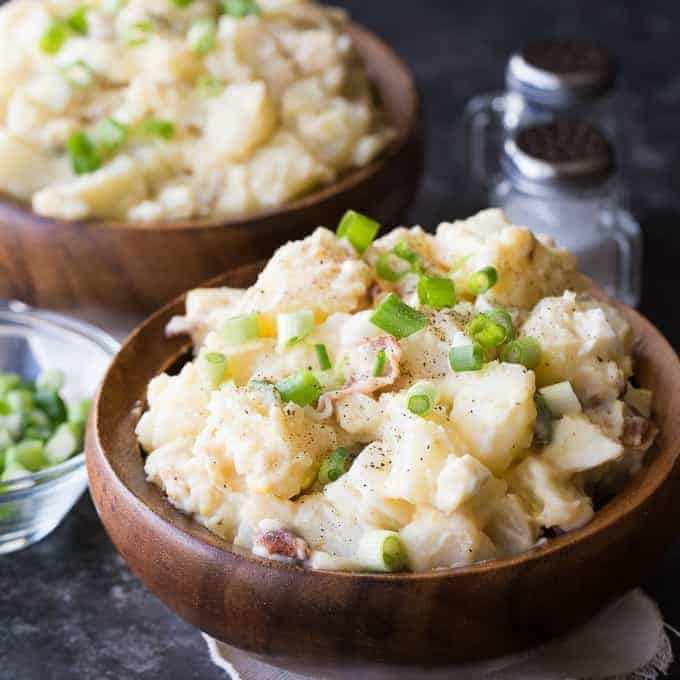 She’s been making this Potato Salad for years and once you try it, you’ll see why it’s so well loved in our family. No, we are not Dutch or don’t live in the Pennsylvania Dutch vicinity. 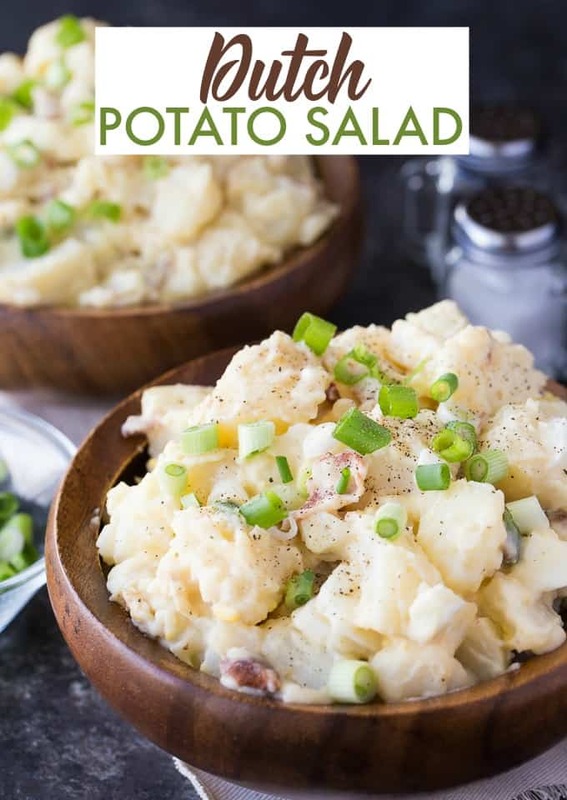 I know that potato salad is huge among the Pennsylvania Dutch people, hence the name of this salad. This potato salad recipe has potatoes (duh! ), bacon, eggs and onions. I love eggs in my potato salad. What about you? The first step is to cook the potatoes. I simply boil mine on the stove until they are fork tender. I used regular white potatoes. Next, you’ll prepare the dressing on the stovetop. In a small saucepan, add the flour, brown sugar, water and vinegar. 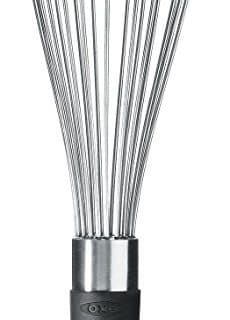 Whisk in the Miracle Whip and then stir until it slightly thickens. Remove it from the heat. 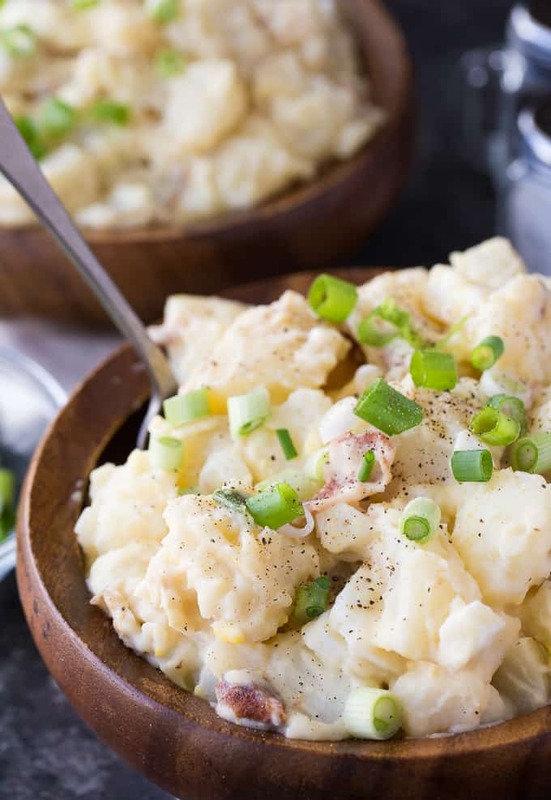 In a large bowl, combine the cubed, cooked potatoes, cooked bacon, chopped hardboiled eggs and green onions. Pour the dressing over top. You can enjoy this salad warm or cold. It tastes yummy either way. If you have a while till you serve the salad, put it in the fridge to chill. Food safety matters. It’s not recommended because the Miracle Whip will separate once it thaws. It also might be mushy. Make it fresh if you can or prepare it ahead of time and keep it in the fridge up to 3 days. 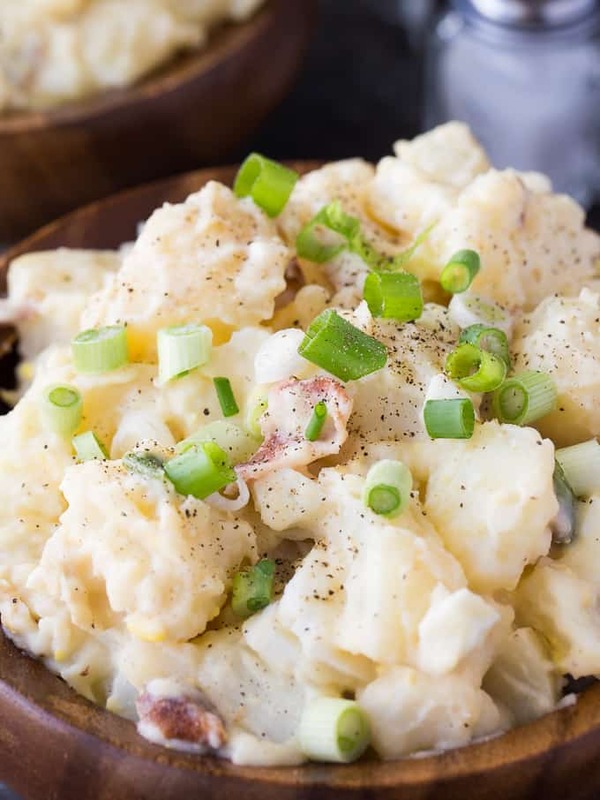 Potato salad is considered a side dish and it’s not something you’d typically eat as the main dish. Although I have done it in the past…. Normally, you’d serve hotdogs or hamburgers with a heaping dollop on the side. It also pairs nicely with steak and grilled chicken. I find potato salad very filling so I never eat a huge bowl of it. Just a nice sized scoop for me is all I ask. Even my picky girls like it! I think the fact that it has their fave breakfast of bacon and eggs in it helps just a tad. I also have a German Sausage & Potato Salad that you might like. 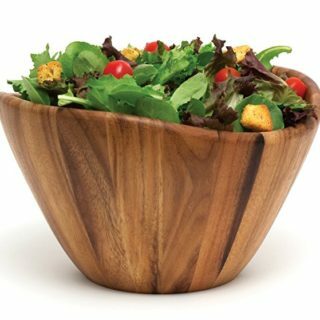 Other summer side salads that are good are Beet Salad, Italian Pasta Salad and Mustard Chicken Salad. Creamy, flavourful and delicious! This easy summer side salad is a must-make for a surefire crowdpleaser! In a small saucepan over low heat, add flour, brown sugar, water and vinegar. Whisk in Miracle Whip and stir until slightly thickened. Remove from heat. Add potatoes, bacon, eggs and green onions to a large bowl. Pour dressing over top and mix to combine. Serve warm or cold. This sounds delicious! I love the idea of bacon. I am going to try this for sure. I usually throw in some frozen peas in mine. Because I’m a procrastinator I’m always cooking the potatoes and eggs (can’t have a potato salad without eggs) at the last minute. The frozen peas help cool it down 🙂 and am always looking for a way to get more veggies into my family. I also usually grate some carrots in. But I am definitely going to try that recipe for the dressing, and the BACON. Thanks for this. Love your combination of flavours ! Thank you so much ! I found your recipe via the Wine’d Down Wednesday link party. 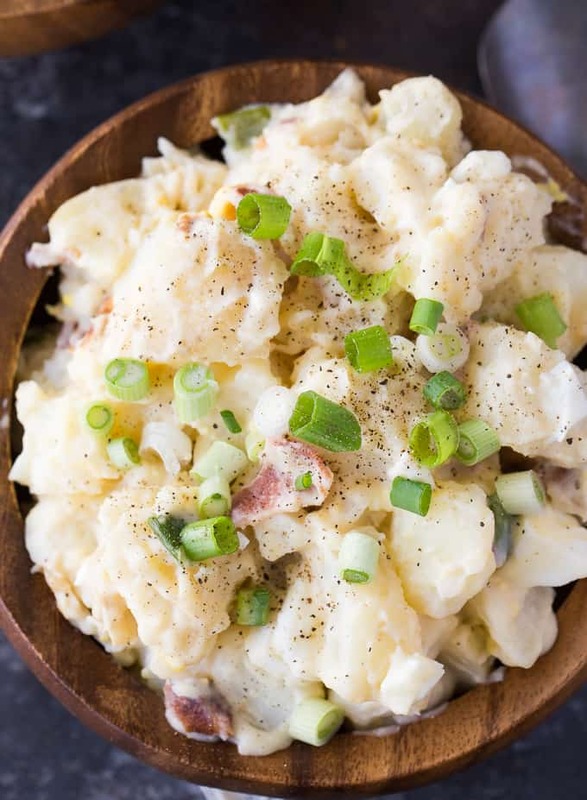 I love some egg in my potato salad too, so I will be giving this one a go! Will be pinning for later! Also compliments on your photos – they are amazing. So jealous lol. This sounds interesting! Can’t wait to try a different potato salad. 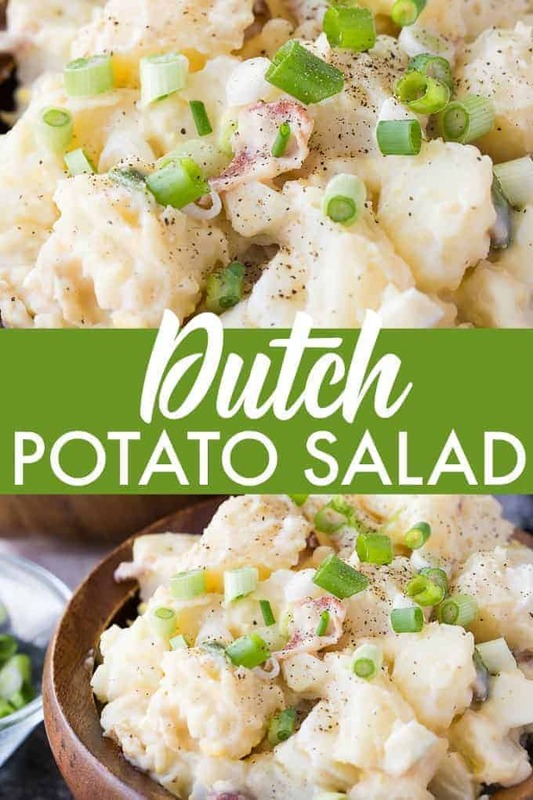 Your Dutch Potato Salad looks delicious! Hope you are having a great week and thanks so much for sharing your awesome post with us at Full Plate Thursday! Thank you for sharing last week on Oh my Heartsie Girls WW linkup, this week your recipe is being featured. Please stop by and share again!! Church cookbook recipes are always the best! This recipe is being Featured at the Merry Monday party this week. Sharing! 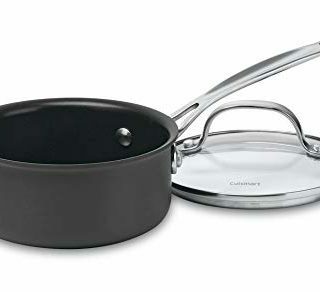 Can’t wait to see what you are cooking next! Potato salad is a must for our summer BBQs as well but my husband usually whips up a quick and simple recipe. I would love for him to give this delicious recipe a try this summer .. i could use some delicious bacon in it!